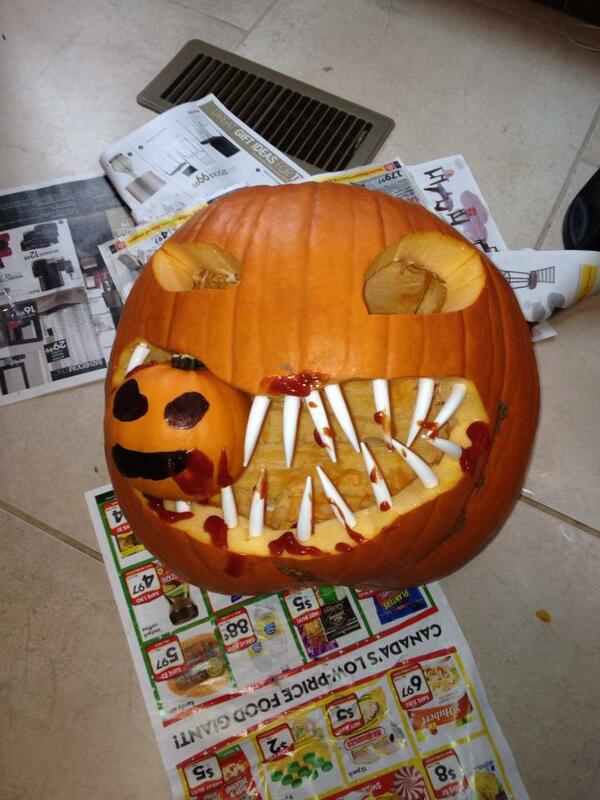 Last year was the first year I ever participated in All Hallows Read. If you’re not familiar with it, it is this cool concept that Neil Gaiman came up with, where on Halloween you give out at least one scary/Halloween-themed book to kids to help promote reading. Though it doesn’t have to just be kids, people are taking the concept and running with it, which is pretty cool too. But the idea is to promote reading among kids who might not be so excited about reading. Now, I’m no fool, I don’t just give out books, I also give out little goody bags and then offer the books too. Last year I only gave away five books. I was heartbroken when one little girl looked me in the face and said, “I don’t like reading.” Yeah, this is what we’re working against. I’ll admit, last year I was actually kind of nervous asking if kids wanted the books and often found myself not asking, especially if it was a huge group of kids at one time. Though often, once you drop the treat into their pail or bag, the kids turn and run too quick for you to say anything about the books. I found it was way easier to give the tiny tots books because their parents were right there and I could look at the parent and say, “Would s/he also like a Halloween picture book! ?” And of course parents loved that. But this year I decided to be more active and vocal about the books. And this year not ONE kid said no if I got the chance to ask. Yes, some still turned and ran before I had a chance to ask, but if they lingered just a second, that’s all I needed to quickly say, “I have books too! 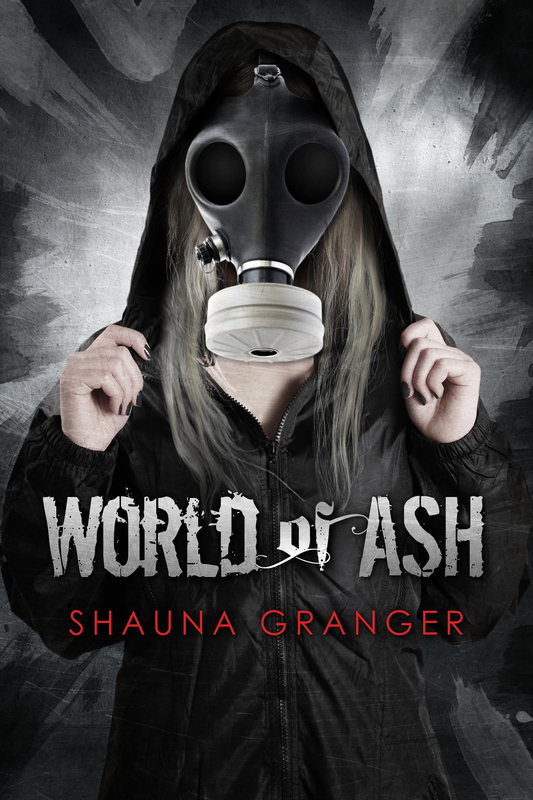 DO YOU LIKE SCARY BOOKS? !” Once again the parents of the tiny tots loved it and were happy to take the picture books, but the older kids surprised me so much. Last year, every single pre-teen and teenager said no when I asked if they wanted a book. But not this year. I gave out seven copies of Neil Gaiman’s Coraline to kids ranging from 7 years old to 12 years old. I gave out four copies of Forest of Hands and Teeth to teens ranging from 13 years old to 15 years old. I gave out nine copies of R.L. Stine’s Goosebumps to kids ranging from 7 years old all the way to 16 years old. And that 16yo zombie boy was my favorite. I looked at him, sad I didn’t have an “age appropriate” book for him because his friend got the last copy of Forest of Hands and Teeth and said, “You might be too old to want Goosebumps.” To which he replied, “No way! Never too old for Goosebumps!” And happily picked one from the stack. I also gave out five copies of It’s the Great Pumpkin Charlie Brown and around 10 copies of two different Witch-themed picture books to various tiny tots. And often, when I held out the choices, the kids (even as small as 2 years old) would pause and actually consider which book they’d like to pick. At one point, I heard one mom say to another, “Oh yeah, I think they do that every year. They gave us a book last year.” That’s right, I’m developing a reputation which is fantastic. And very often I heard kids yell to their parents and friends, “I GOT A BOOK!” Which of course made me do a little Halloween dance. At one point a little girl yelled from our porch, “They’re giving out books!” And I was really worried she was warning people off but then five kids came running up for their books. I can’t even. But more surprising? 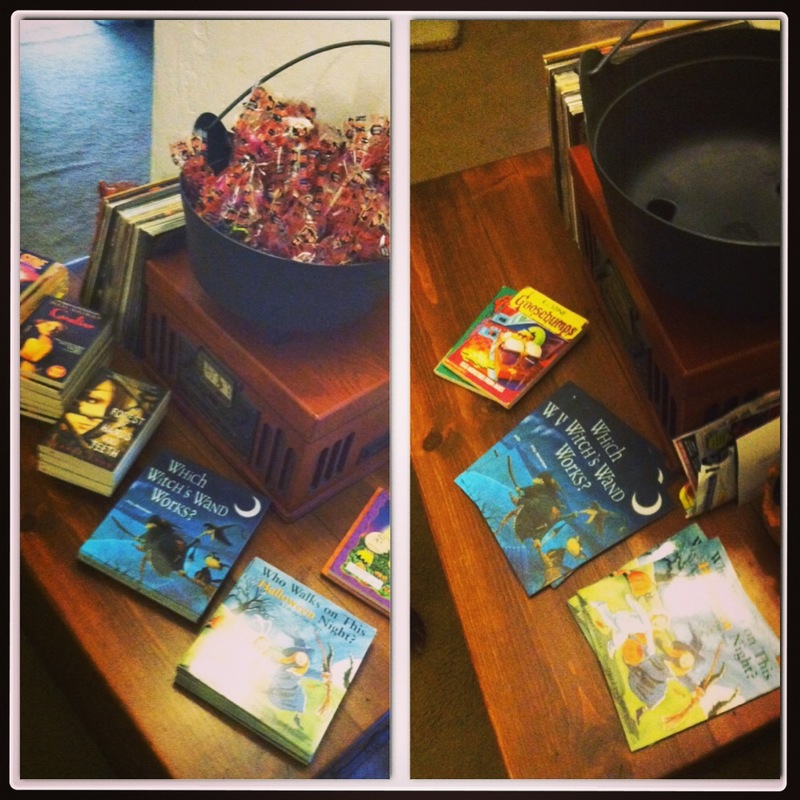 We ran out of goody bags because there were actually more trick-or-treaters this year than last, but we still had books. So when people came to the door, I apologized about being out of candy, but offered the books instead and you know what? They happily took the books. Not one kid said, “No thanks.” Not. One. So I started out with nearly 40 books and now only have 5. This is amazing. Gave away one more book right after I took this pic. 2. 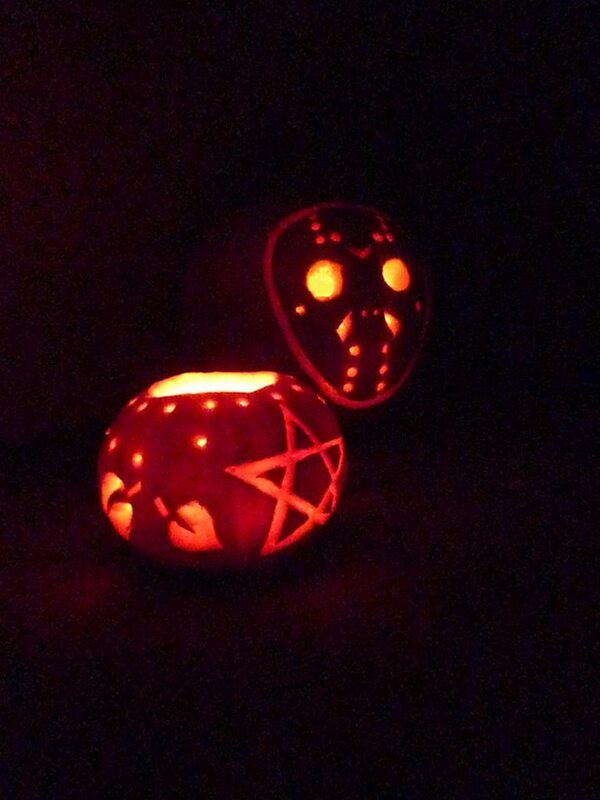 Jeni Matthews: Creepy but Pretty for her Jason Vorhees pumpkin AND her Wicca inspired pumpkin. 3. Kelly Lynn Harris: Funniest for her, well for that munchkin’s face really. 4. 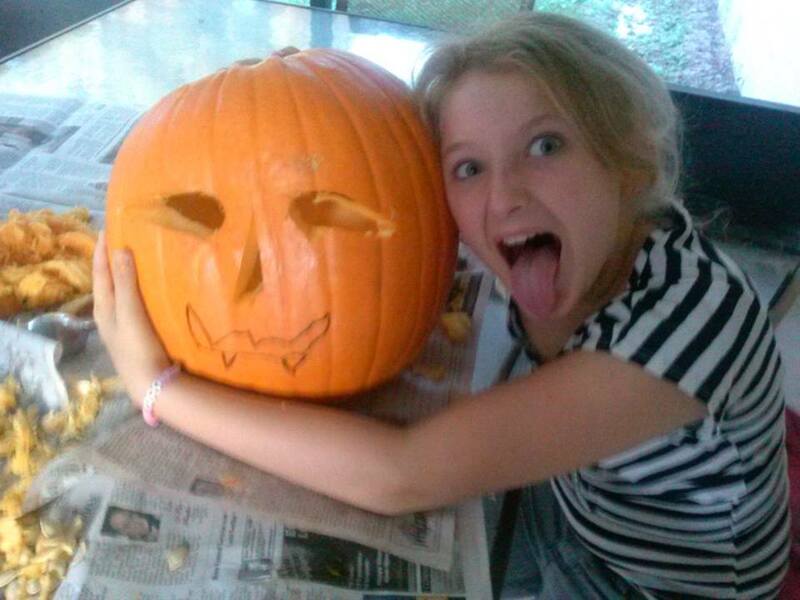 Amanda Weese Rienguette: Scariest for her cannibal pumpkin. 5. 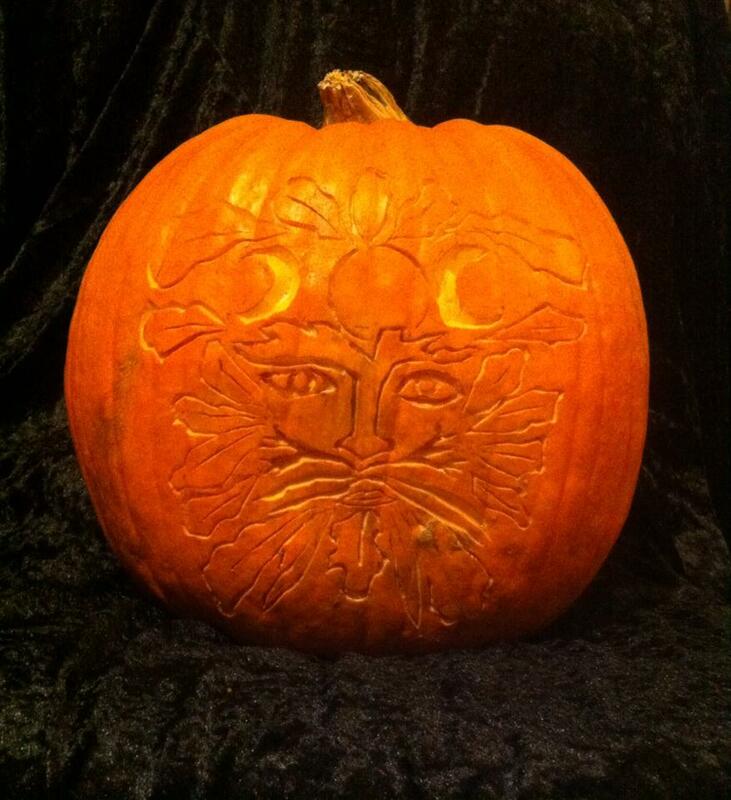 Maritza Cruz Whiteman: Prettiest for her Magical Castle Pumpkin. All the winners have been notified by email. If you didn’t win, don’t worry, the book comes out in just one month and you can get your hands on it too!